As parents, we only want to give the best to our children, whether it be for their schooling needs, recreational activities, or life experiences in general. We strive to provide them with everything they need so they may be able to develop to their fullest potential. This especially holds true when it comes to nutrition. It is our responsibility to give them the right food and way of life so they can grow up strong in mind & body. With all the milk products available in the market, it can be overwhelming and confusing to determine which ones are really good for us. Fortunately, us moms can count on Anchor to be our partner in making sure our children are getting the right nutrition through whole milk. 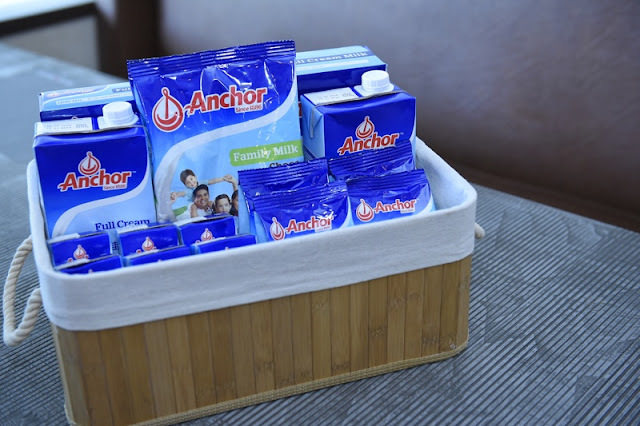 As the true champion of real and pure dairy in the Philippines, Anchor believes in the importance of harnessing one’s potential through whole dairy goodness and providing dairy nourishment in new ways every day. From a nutritional point of view, Anchor’s whole milk has a myriad of benefits that other milk products with additives and substitutes do not deliver. First, Anchor milk products are naturally rich in disease-fighting antioxidants there are produced from 100% grass-fed cows living in lush green farms. Second, having less fillers means that calcium is more bioavailable – that means calcium may be more easily absorbed vs. other milk products which contain less natural dairy. Lastly, whole milk provides high-quality protein which has all essential amino acids for faster growth and development. Throughout the years, Anchor has transformed dairy into something exciting and great that improves and nurtures the lives of Filipinos for over two decades. It is a brand owned and produced by Fonterra, a co-operative owned by 10,500 farming families in New Zealand and the the most trusted source of dairy nutrition in the world. It has been providing pure & natural dairy goodness to millions of families around the world for over 100 years. When it comes to providing natural and whole dairy nutrition, you can count on Anchor’s range of quality products to give you #AWholeLotToLove. Visit anchorphilippines.com to know more!